Including more oat bran in your diet brings with it a great number of health benefits! The health benefits of oat bran were not recognized for a long time and its use was restricted to feeding the livestock only. However, this miraculous food is enjoying great importance today, all thanks to the Dukan Diet. Oat bran is an integral part of the Dukan Diet plan and it has to be consumed in all the phases to balance the nutrition needs of your body. 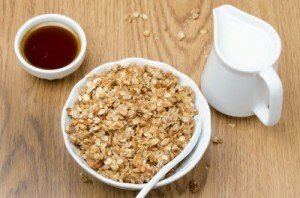 If you are aware of what Dukan Diet is, then you must also know the importance attached to oat bran in this diet plan. Oat bran is obtained from oat grains and it is full of nutrition. Gradually, people have started acknowledging its role in keeping them healthier, along with promoting weight loss. The benefits of Dukan Diet Oat Bran are explained more clearly in the following points. Oat bran is helpful in lowering cholesterol levels. As it has high fiber content, thus it benefits your digestive system immensely. Consuming Dukan Diet Oat Bran, even in small quantity, can keep you feeling full for a long time and helps to avoid hunger pangs. This is because, as your body begins to digest it, oat bran gets mixed with saliva and due to this it expands. It helps to fill up your stomach and this is helpful in keeping the frustration caused by hunger away, especially when you are dieting. Oat bran helps in weight loss as well by lowing absorption of fat and sugar by your body. Once ingested in your body, it begins to attack, bile, pancreatic juices and gastric acid. This process initiated by Dukan Diet Oat Bran helps in lowering sugar assimilation, along with removing calories by decreasing the dietary fat absorption. Another benefit of oat bran is that it keeps the cholesterol low. As it has soluble fiber, thus it helps in reducing the LDL, or Low density lipoprotein, commonly known as bad cholesterol. This soluble fiber does not allow cholesterol to get absorbed in the bloodstream. The health benefits of Dukan Diet Oat Bran are immense and this is the reason why it is regarded as such an important food nowadays. The followers of Dukan Diet would definitely be able to enjoy its incredible benefits and better health. Along with the above mentioned benefits, oat meal has another favorable quality. Unlike other health foods, which are termed as tasteless, oat bran is quite delicious. So make it a part of your diet, as consuming oat bran will keep you healthy and strong, by ensuring that your digestive system is working properly.